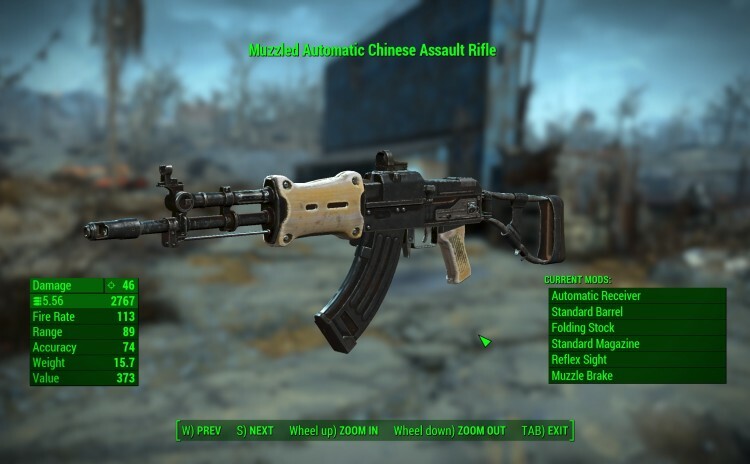 This mod adds a brand new Chinese Assault Rifle to Fallout 4, complete with mods and full levelled list integration. 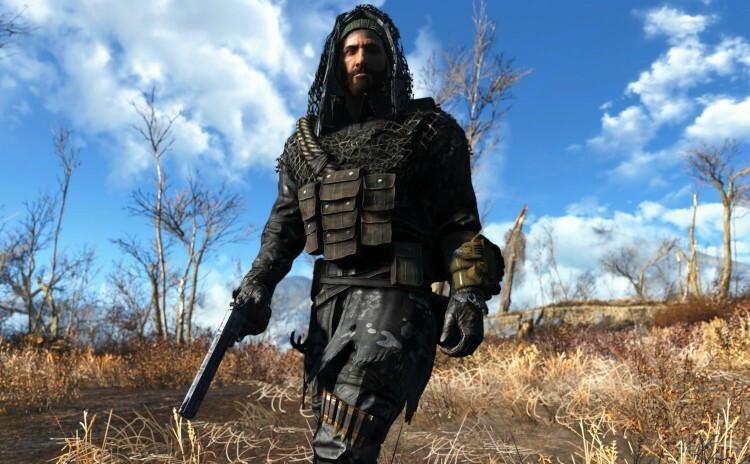 This mod adds a military-style sniper outfit. 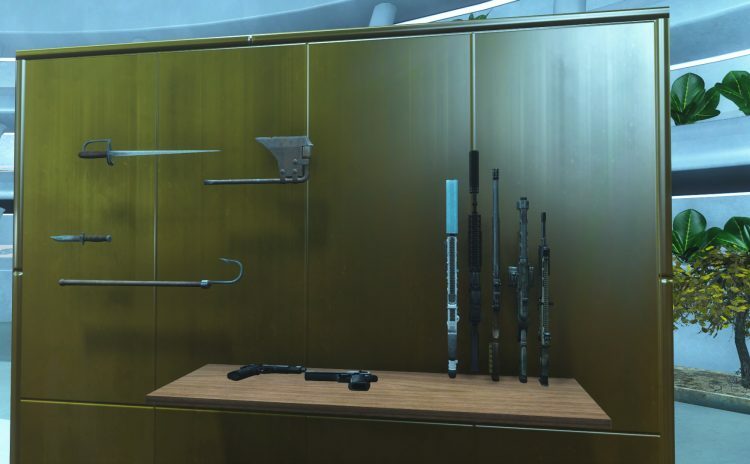 This mod allows you to add a bracket to a wall that can be activated to place a weapon on. 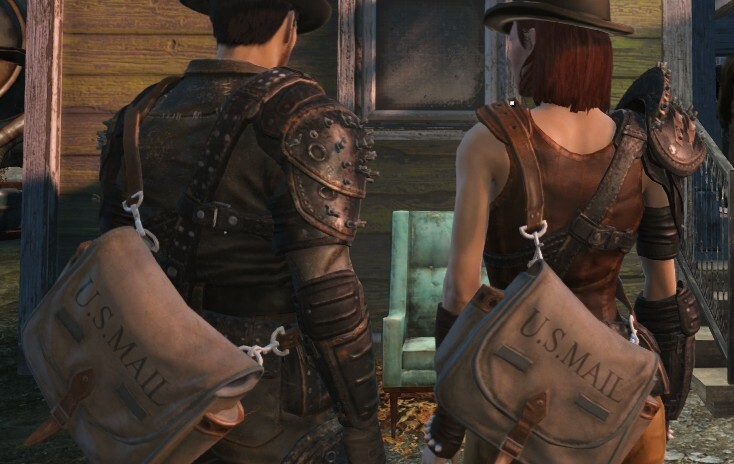 This mod will add 7 craftable shoulder bags and 1 small satchel (this one with physics) to the game, each bag weight is 2 and adds 30 carryweight bonus when equipped, except the small satchel which adds only 10 carryweight bonus. You can also give the shoulder bags or the small satchel to human followers. 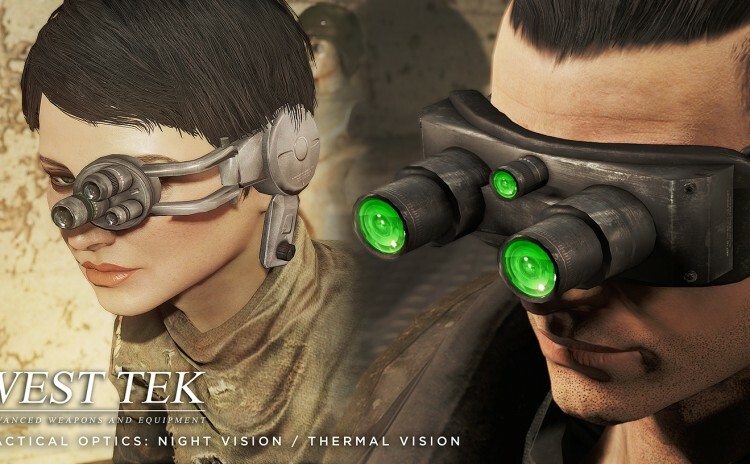 This mod adds new tactical goggles and eyepieces, featuring new meshes and textures, which are fully modular, craftable, and upgradeable at the the armor workbench, with 3 primary vision effects, 2 secondary enhancements, and 8 colors. 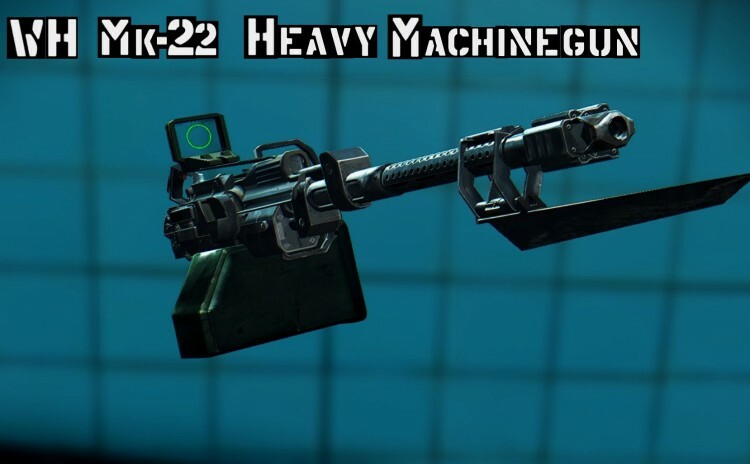 This mod adds a massive heavy machine gun to Fallout 4 that can be upgraded to use 50 cal ammunition for a true overpowered feeling. 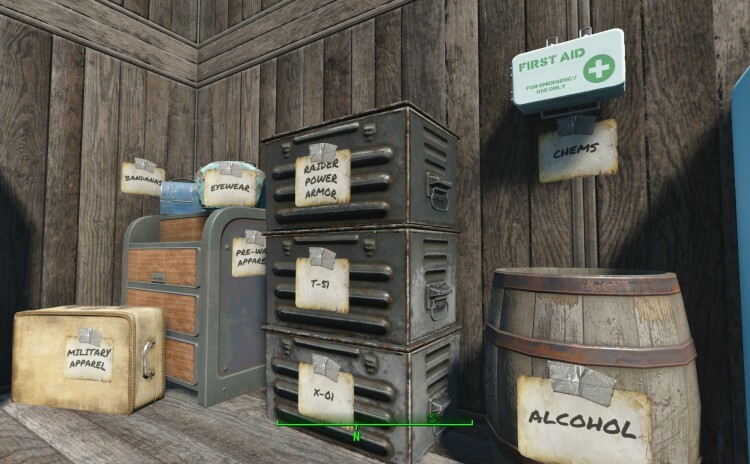 This mod adds labels which can be placed vertically on any surface (walls, containers, etc.) as an organizational tool. 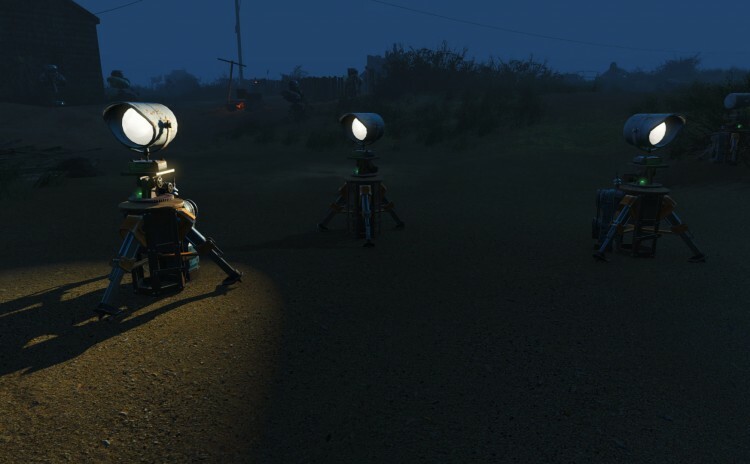 This mod will fix the fast travel blackout bug of the vanilla workshop spotlight turret and provide several light range and shadow options for the workshop spotlight. 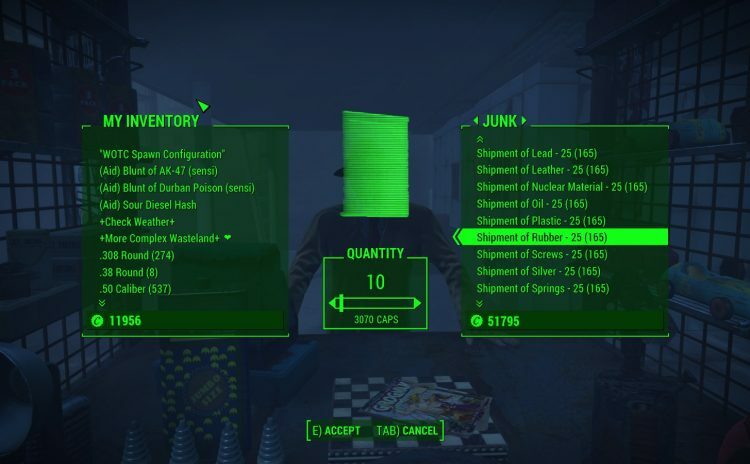 This mod allows your traders to get shipments of resources for you. It requires tier three trader. 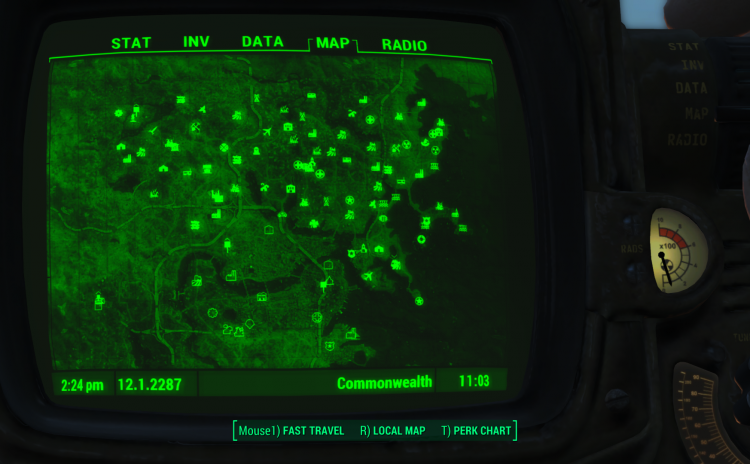 This mod allows you to Zoom-out more on the World map, displaying the full East/West length of the map at full Zoom-out. It also increases the number of intermediary scroll heights.